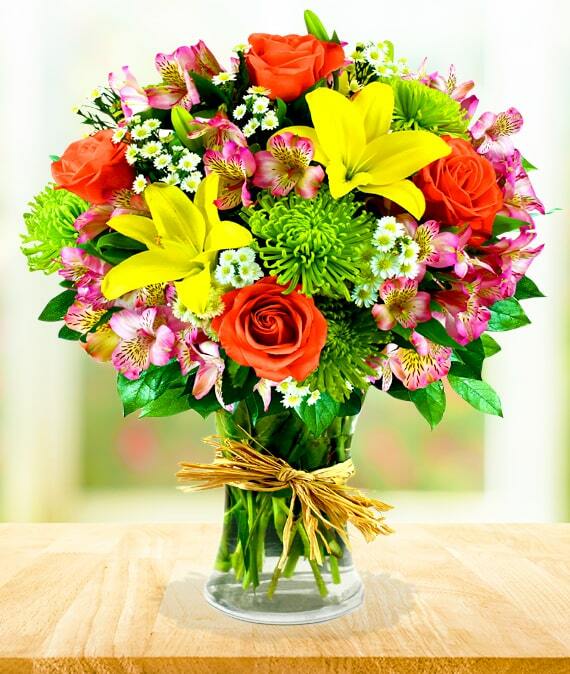 This uniquely colored arrangement boasts European flare. It's sure to make your recipient's day and have them daydreaming of a beautiful field of European flowers. 05/08/2017 9:11AM i love yellow lilies. it was a nice arrangement.— Natalie I.